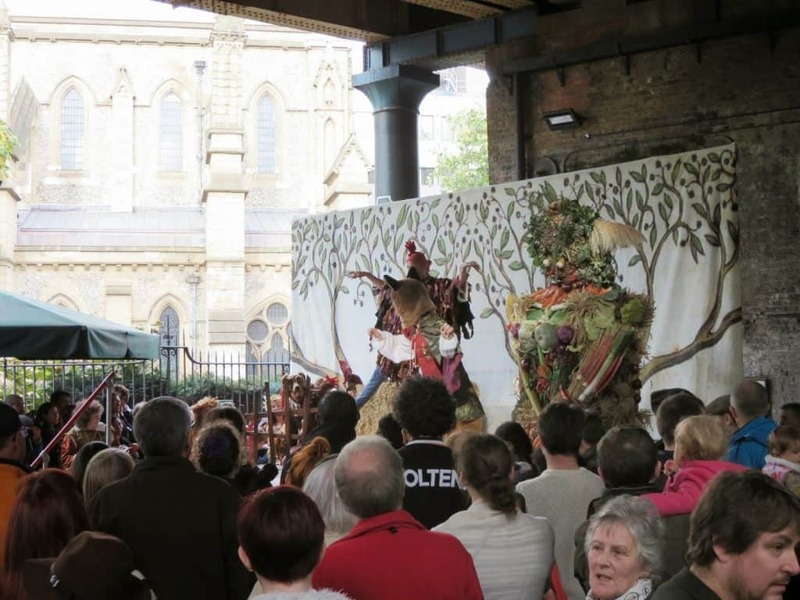 I’ve profiled Borough Market before, but my visit on this occasion had a strict purpose: a harvest festival! Well, more specifically, an apple festival with some traditional harvest festivities mixed in. 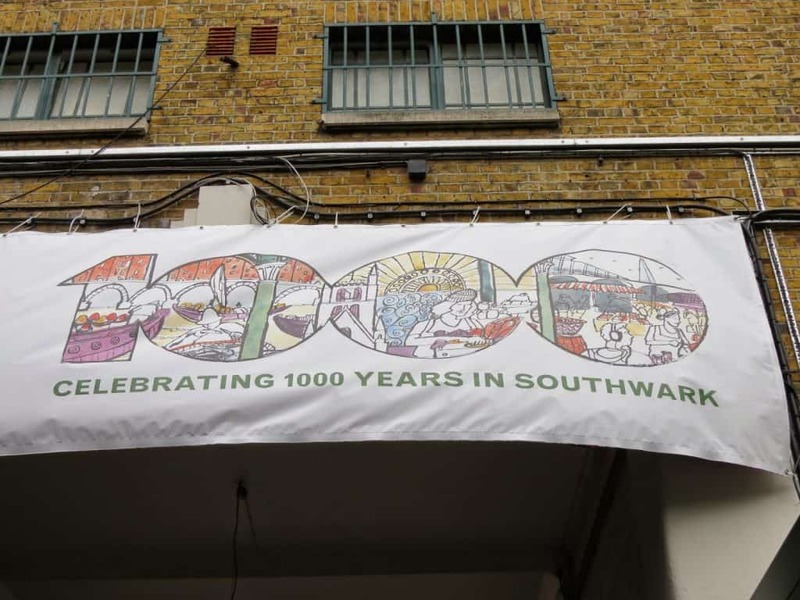 There is an Apple Day there every year, but since it is celebrating 1000 years this year, Borough Market is rather pulling out the stops for all of its festivities. This year’s event featured a number of traditional British elements that were wonderful to explore, and cleverly combined agriculture and tradition with our modern world. Tasting stations were available at the market entrance so that visitors could sample slices from dozens of apple varieties. 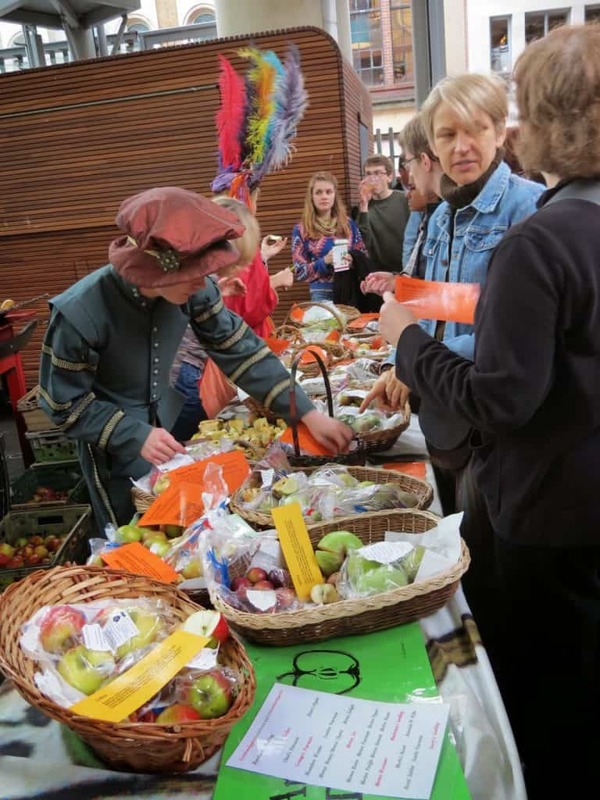 There was an “orchard” area set up with pillows and blankets for children to participate in events and storytelling, while demonstration and learning kitchens (market regulars) put on exhibitions ranging from peeling apples to preparing the fanciest of puff pastries with them. 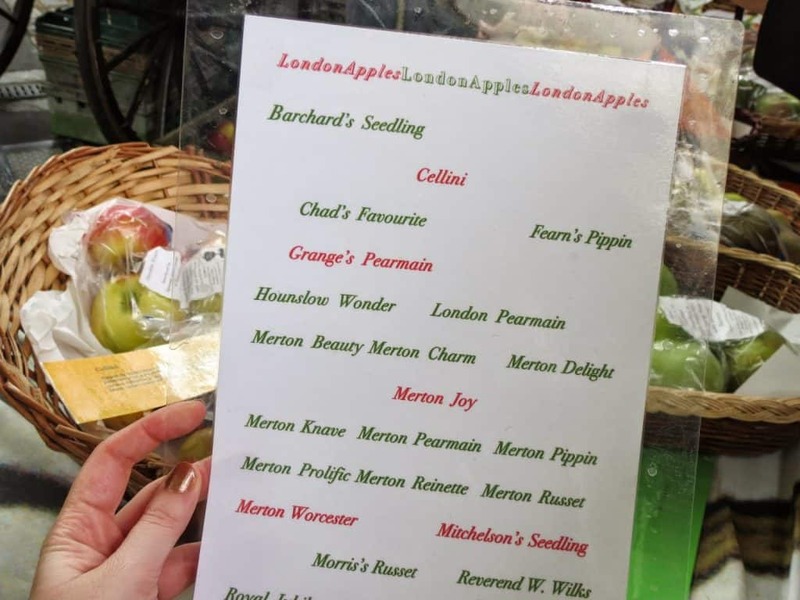 Varieties of apples grown in London over the years. 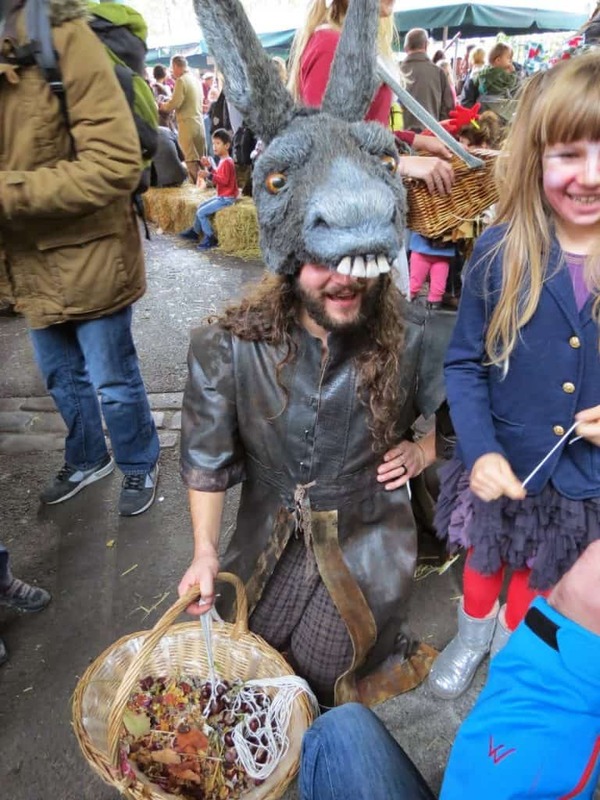 In the middle of the market was a theatre production featuring traditional British and English human and animal characters from folklore, as well as more storytelling (a British pastime) and games. One of the players handed out conkers, horse chestnut seeds strung onto strings, and everybody from children to Morris Dancer groups took part in playing the traditional game of trying to knock your opponent’s off its string by whacking it with your own as hard as possible. One of the players hands out conkers. 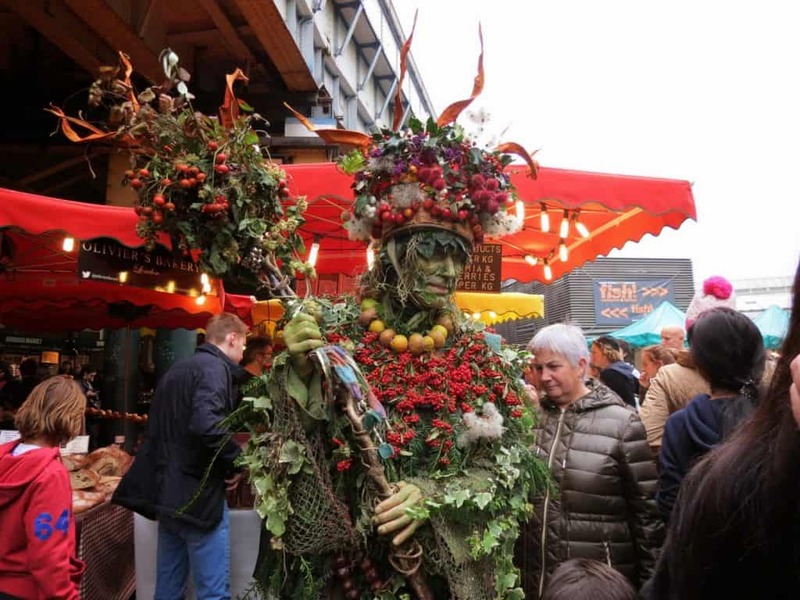 The most traditional elements of all were the “Corn Queen,” an effigy made up of fruits and vegetables to signify bounty, and the “Berry Man,” a figure of British folklore that probably dates back to pagan times. He is arrayed in the fruits, flowers, and vines of the season and is thought to symbolize rebirth and fertility (evergreen leaves are often associated with him to imply that even though fall has arrived and the grimness of winter is around the corner, Spring and planting season follow). Long after Christianity arrived in Britain, this natural and agricultural character could be found in texts, religious carvings, and local festivals like the one Borough was recreating. Clearly, tradition is here to stay! 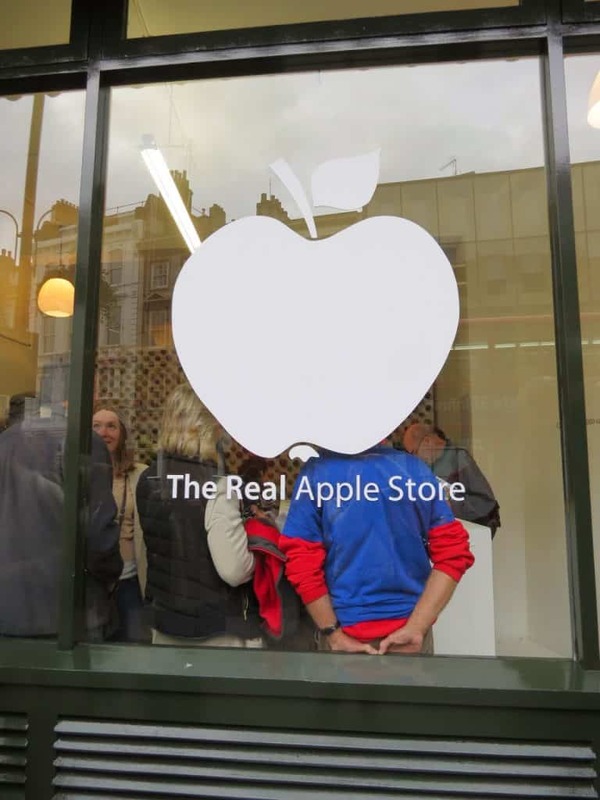 The more modern part of the market display featured a very clever installation that the designers called “The Real Apple Store,” to mimic and tease the tech company. But you won’t find iPads here! 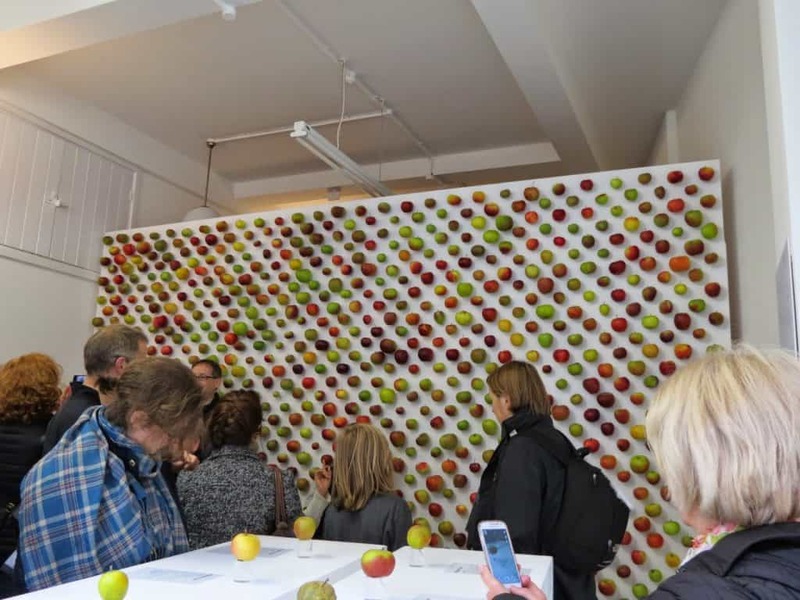 Though laid out to look like an Apple or Mac store, this display featured 1000 different species of apples (one for every year of the market’s existence), with several varieties highlighted and their history explained. Apparently, the first apple to be recorded as brought to the UK was the variety known as Court Pendu Plat—and it is delicious! The apple appears in almost every culture in the Old World, and rapidly colonized the New once the Columbian Exchange kicked off in the 16th century. It is riddled with symbolic meaning, litters our idioms (“An apple a day…” or “As American as apple pie…”), and is one of the most widely cultivated fruits today. In other words, it’s well worth celebrating. 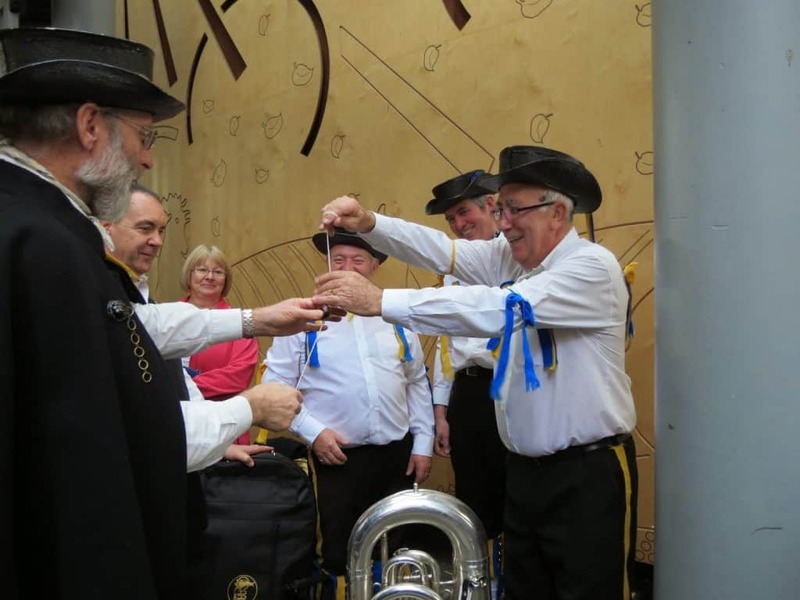 Harvest and fall festivals aren’t just to be found in Britain. 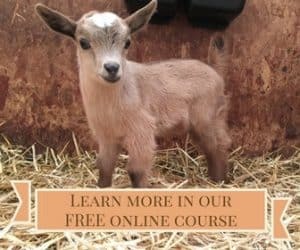 Are there any local events or festivals in your area that you use to celebrate the season? What personal traditions signify fall to you? 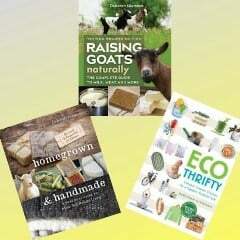 And what food item are you harvesting now in your gardens or orchards? Let us know in the comments!